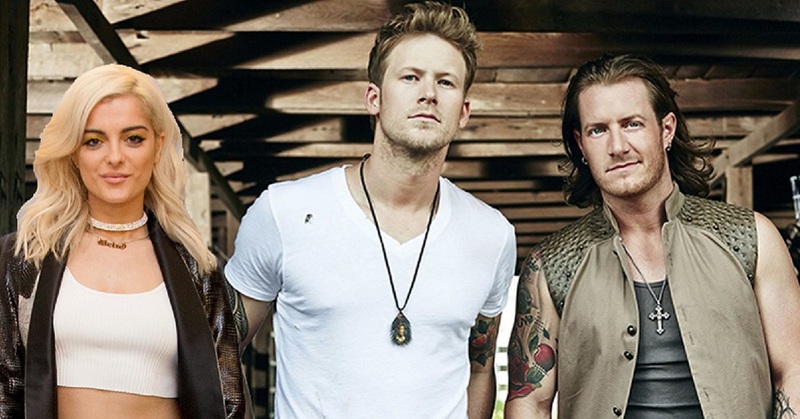 Tyler Hubbard and Bebe Rexha found inspiration behind their hit singe "Meant To Be" from Haley's advice. You might say that the inspiration for this song was meant to be…. A wife’s words of wisdom could give her husband just enough inspiration to write a hit single… At least this was the case for Florida Georgia Line’s Tyler Hubbard and co-singer, Bebe Rexha. Their first (and undoubtedly not last) single together, “Meant To Be” has been a success, all thanks to Hubbard’s wife Haley. More here on how the accidental song came to be! After both artists experienced a very trying day, they met up for their first hangout only for the day to be flipped upside down. Rexha went on to say that Tyler’s wife knew he was also having a bad day which lead her to spew the wisdom he needed to get his song-writing wheels moving; “If it’s meant to be it’ll be.” The pop-country sensation has been thriving since its release. Leading Billboard’s “Hot Country Songs” chart for 25 weeks, it’s safe to say that Tyler should include Haley in his future writing sessions. Watch the official music video for “Meant To Be” and check out the lyrics below. Share this Florida Georgia Line update with fellow fans!